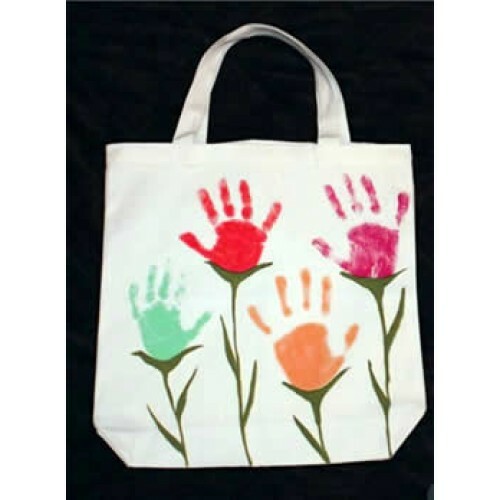 Design and create your own personalised canvas carry shopping bag. 10 x Large Heavy-Duty Cotton Bags that are ideal for painting. Sturdy cotton bags with two handles are ready to paint and decorate with Fastex Fabric Paint. Pre-wash bags for best results. 36 x 40cm. Now that our New Zealand stores are banning the use of single use plastic bags this 10-bag set is an ideal art project for the school classroom. ​Get creative and create a bag for any occasion. Create bags for school, carrying books, shopping, the supermarket almost anything. 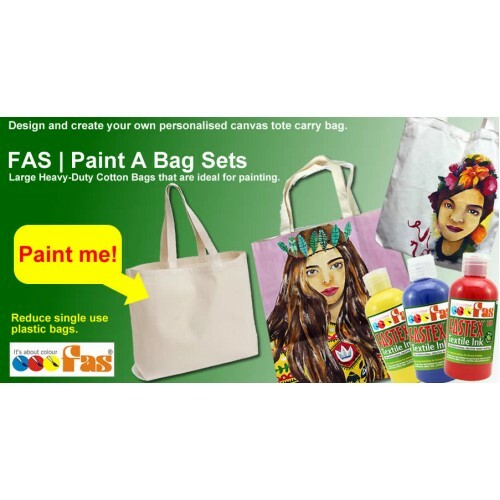 Each Set contains 10 x extra thick 10oz quality cotton bags that are durable and heavy enough for textile painting with FAStex. They are built to last for years and can be washed over and over again. Most cotton bags are far too thin to paint. These bags are a 10oz cotton that is similar to hard wearing Levi jeans. Fastex HD Textile Ink is ideal for painting these bags either by brush, stencil or screen printing to a high definition. This painting ink has fully intermixable range of colours for painting permanent designs on to fabric. Even the smallest details are clean and crisp when screen-printing. Once dry the colours are heat-set by ironing for 3-4 minutes. The fabric can then be washed in the usual way with affecting the design. Clean up with soap and water.